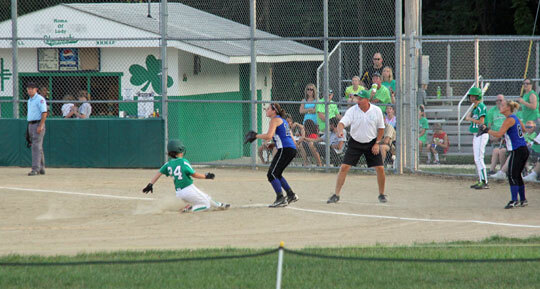 Victoria Bowers slides into third for an RBI triple, sparking a three run fourth inning. New Haven, Mo. - After an 11-1 blowout win over Hermann on Tuesday, New Haven suffered their first conference loss to Sullivan in Thursday's home game, 9-1. 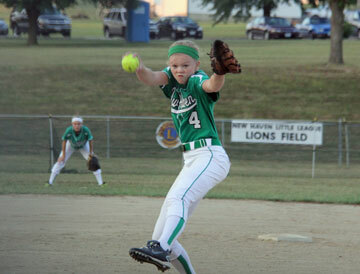 Bank of Franklin County's pre-game tailgate kick started New Haven's two out rally in the first inning as the lady rocks capitalized off three Hermann errors that led to four runs and 4-0 lead. Senior Stephanie Scheer picked up her third win in a dominant, five-strikeout performance. Scheer allowed just one run on seven hits and one walk over six innings. New Haven delivered a twin attack in the fourth, scoring three runs after Blair Bowers ripped a leadoff double. Then it was Blair's twin sister Victoria who smoked an RBI triple down the right field line, scoring Blair. The lady rocks again capitalized off a Hermann error, taking a 7-1 lead. New Haven went on to score a game ending four runs in the sixth, when Madison Doyle sparked New Haven's four-run inning with a bases loaded RBI single. The lady rocks scored two more runs off two errors before Scheer gave her team their first conference win of the year with an RBI single, giving New Haven a ten run lead, (11-1) ending the teams two game loosing streak. Molly Munsinger was hot from the plate. Munsinger went 2-4, scoring three runs and grabbed her fifth stolen base on the season. Meagan Ley had another solid performance from the plate, going 2-3 and scoring once. For the season, Ley is second on the team with a season average of .381 and on base percentage of .409. Lindsey Nixon leads the team in hitting with a .450 batting average along with six RBIs, including one home run, while striking out just five times. 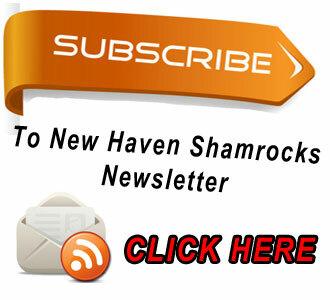 New Haven currently sits with a season record of 3-5 and are 1-1 in conference play. Saturday they will play in Owensville's Softball Classic, taking on Belle at 9 a.m.
View more photos in the QuickNewsNow Photo Gallery. 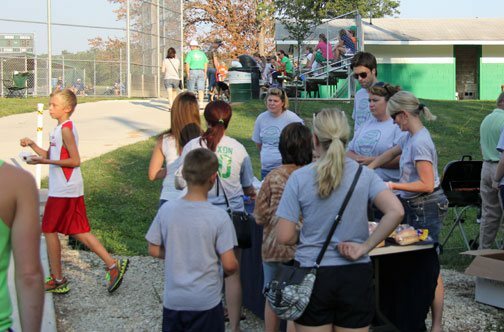 Employees with Bank of Franklin County served up hotdogs and gaveaway t-shirts before the start of Tuesday's win over Hermann.